My very first Longchamp purchase was this tote. After using it for almost 3 years as a diaper bag, I decided to find a new home for it and used the money towards this new purchase. I was looking for something that is durable and can be used as a weekend bag. This tote exceeds all my expectations. 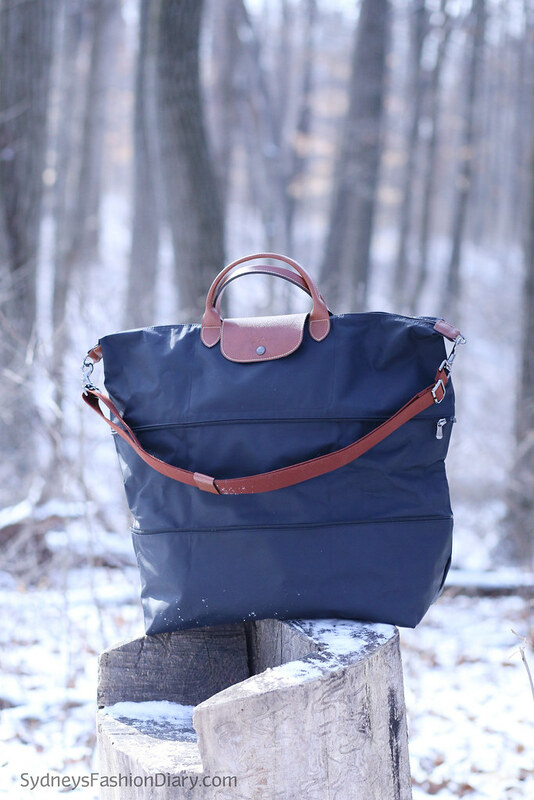 Staying true to the brand values, the bag is extremely sturdy, well constructed and will last a good long time. What I love about this bag is the expandable option. It can be folded neatly and laid flat to fit into your luggage when travel. It makes the perfect gym bag when it isn't expanded. The expandable option is perfect for longer trips or when you need some extra space. It is like having a 2-in-1 bag. The strap is very comfortable to wear and does not slip off my shoulder. However, it's not adjustable. I wish the strap can be extended to use as a crossbody. 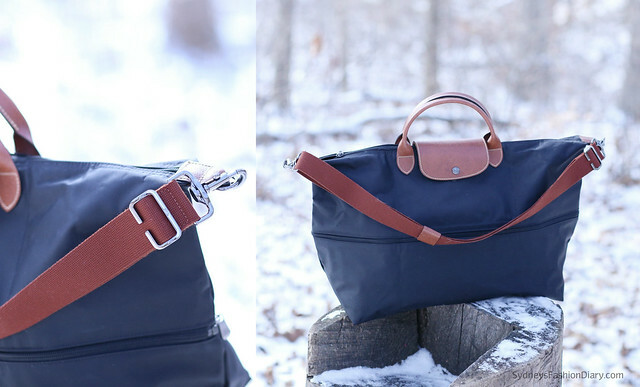 The leather handles are thick and the hardware is minimal but substantial. The material is water resistant so you don't have to worry about ruining it in snow or rain. This tote is available in a range of colors but I went with the boring black. No compartments inside other than a small pocket for your phone. It does make it a bit touch to find things but I can't say enough good things about this bag and wholeheartedly recommend it to anyone. Very nice travel bag. Thanks for sharing this review. Have a beautiful weekend! The bag looks gorgeous, glad to hear you are enjoying it! Have a great weekend!